I have seen some weird things in and around vacant houses in the Detroit area. However, it always amazes me when I see something like a boat that is nestled in between two vacant houses on Minock Street, south of Paul Street. The boat is in less than ideal condition. It's missing its motor and has clearly seen better days. It could probably be salvaged, though. 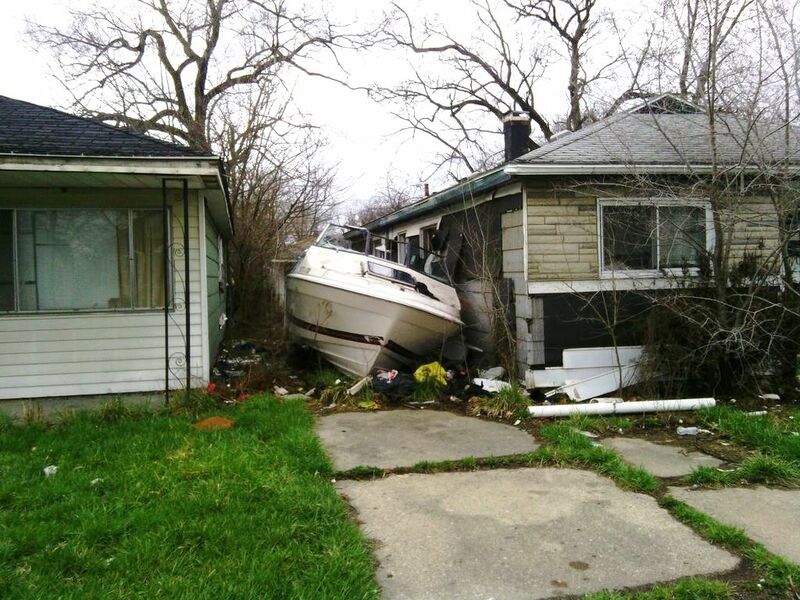 The truly interesting thing, at least in my opinion, is that this is the sixth year in a row that I've seen a boat in this condition mysteriously dumped somewhere in the Warrendale neighborhood. The boats never have a motor and rarely have a trailer. It's as if someone has this vast supply of boats in bad condition. They pull out the motor and a few other things, dumping what's left in Detroit.